"This certification distinguishes 3M as a conscientious corporate citizen. Committing to environmental sustainability is the right thing to do, and consumers will respond positively." ST. PAUL, Minn.--(BUSINESS WIRE)--3M Purification is the first to achieve WQA Sustainability Certifications under the new WQA Product Sustainability standards. The products include water filtration products for the home and water appliances. 3M Purification joined a task force of other leading industry manufacturers and suppliers to assist the Water Quality Association (WQA) in developing a new suite of sustainability standards for drinking water treatment products. Following a successful third party inspection, six 3M, Aqua-Pure® and Water Factory Systems™ water filtration products are now the first in the industry to be certified under these important new standards. The WQA set out to create the standards in order to give consumers, water professionals, and other stakeholders meaningful sustainability information about water filtration products, as well as to drive sustainability and innovation in the industry. For an activated carbon water filtration product to carry the WQA Sustainability Certification label, the product must first be certified to the appropriate safety/performance standard. Also, the manufacturer must meet two new WQA Sustainability standards. The first, WQA S-801, is a Sustainable Management standard that examines corporate governance factors such as: social responsibility; environmental policies, goals and communications; as well as supplier sustainability performance. The second standard, WQA S-803, is a Product Sustainability standard for Activated Carbon Water Filtration Systems. This standard encompasses cradle-to-grave attributes of a product, including raw material sourcing, manufacturing and assembly, packaging and end-of-life management. These products are the first in 3M Purification’s ongoing commitment to life cycle sustainability. 3M Purification is currently working to gain certification for additional products and expects to announce its next round of WQA Certified products later this year. 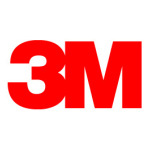 3M Purification provides a diverse portfolio of water and air filtration products and technologies for the Residential, Commercial, Industrial, and Life Sciences industries across the globe. For more information about 3M Purification, click here www.3Mpurification.com. 3M Company has hundreds of solutions to help customers reduce energy, air pollution, and waste, use more renewable resources, achieve green building certification, and protect employee health & safety. For more information, visit www.3M.com/sustainability. 3M, Water Factory Systems and Faucet Mate are trademarks of 3M Company. Aqua-Pure is a registered trademark of 3M Company.